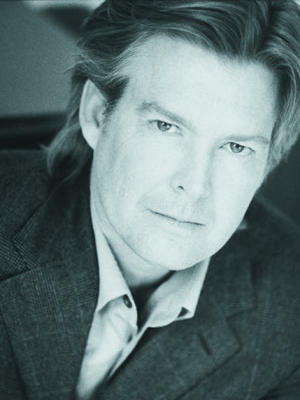 Michael St. Pierre’s adventures are a mixture of „The Saint“ and „Indiana Jones“. What was your inspiration and why did you pick a thief? When I sat down a few years ago to write my first book I wanted to create a character that was distinct. So many characters in popular fiction were based on policemen, military personnel, detectives, I wanted to have something that would be different, that was fresh and new. I love the anti-hero, the Butch Cassidy – Robin Hood type, those likeable characters who, though breaking the laws of the land still do the right thing. To me the white knight, the good sheriff, or the all around do-gooder can become boring, can be predictable. I think as a thriller writer it is my responsibility to entertain, to keep the reader guessing and involved and turning the pages as fast as he can. To get there I needed someone who would challenge the status quo, who’d do anything including breaking the laws of man, the heart, and God to achieve his goal. I needed to create someone who would be fun to write not just in a book but a series and so I settled on a thief. Michael St. Pierre is very much myself, they say write what you know so that is what I did. His thoughts, emotions, and view points are a reflection of me. His skills sets: skydiving, scuba diving, love of extreme sports is directly from my life; his caring for those he loves is very close to home and is what drives him and me in life and my various adventures. If you know Michael St. Pierre you really know me, something that my close friends and family recognize and kid me on constantly. Your heroes – all of them – are refreshingly free of psychological flaws and gruesome marriage problems. How important is it for you to make them lovable? Some people have a defining moment of tragedy, of pain or loss, others are defined by their successes, their family, their triumphs. In reality we all have a bit of both and I try to reflect that in my characters. But, as a writer I try to keep my heroes mind set emphasized on the positive, they endure rollercoaster adventures that put them and their loved ones in peril, pull their emotions all over the place and so I want to give them a firm foundation to draw upon. Hope is always alive in my stories and that comes from their strong relationships around them. I think it is very important for the reader to be able to relate to the character, to care for them, for when you do you are drawn deeper into the story, the cliffhangers become higher, the danger more acute. If a million people are in danger we care but when a loved one is in the danger we bleed for them, we feel what they are going through, the characters journey becomes personal. All your novels include some kind of paranormal events. Why did you chose that particular turn of events without going the „usual“ way of staying in so called reality? I always have just a touch of supernatural in my books, but never anything where it pulls the reader out of the story, makes the suspension of disbelief too difficult. I like a touch of magic, a bit of a legend being seen, a glimpse of what is on the other side. 99% of my stories are based in reality but drawing in a hint of something fantastic gives the story a little bit of an edge. It’s interesting, whether it is The Thieves of Heaven, The 13th Hour, or my most recent novel, Half-Past Dawn they are always categorized as thrillers or mysteries and are read by that readership who never seem to question the small inclusion of the supernatural. Yet readers of sci-fi or fantasy seem to enjoy my books at it is bringing a sense of reality to the genre they usually enjoy. It’s important for the writer to be creative, to think out of the box. In the same way I try to create unique characters, I try to create unique stories that aren’t just another murder mystery, another quest, another global crisis. A sprinkler of the fantastic in an otherwise grounded world helps me to achieve that. How do you do your research – I’m especially thinking of the archeological scenes in your „The Thieves of Darkness“? I learned about the Piri Reis map many years ago and was immediately fascinated. Here was a map drawn in 1513 that depicted the land mass of Antarctica, a continent that has been covered in ice for over six thousand years long before man was thought to sail the open oceans. What really got my mind churning though was that the eastern part of the map was missing and what might have been depicted on it. From this The Thieves of Darkness was born. As the map came out of the Ottoman Empire, I needed to know every square foot of Topkapi Palace, of Haghia Sofia, of the cisterns beneath Istanbul so when Michael St. Pierre was running about it was in my mind’s eye. I poured through books and articles, maps both ancient and new. I covered my desk and writing room with photographs of the particular scene I would be writing to immerse myself in that world so my senses could filter it through my mind onto the page. Istanbul and its predecessors Constantinople, Byzantium etc… was the center of the world through several different empires, Eastern Roman, Latin, Ottoman and so was filled with a rich heritage that had been unfortunately scattered time and again by the conquering regimes. Through a lot of digging, I came across tremendous files and knowledge that much of the world had never seen and helped me to provide a rich background for my story. How do you keep track of the places Michael has already visited and the plots? I am very lucky in that I have a very good memory to the point of going back to my early childhood. I remember events, what people say, the colors and smells around me, I remember almost everything except numbers and names. This has proven to be one of my greatest tools as I can draw on so many of my life’s experiences to enrich my novels. When I sit down to write a new story I remember Michael’s past adventures as if they were my own and so when pen goes to paper the new story is fresh and new and I never fear repeating myself. I hate when a writer populates their stories with ‘women in dire need’. I think a woman can absolutely be strong while still being feminine, just as a man can be tough and still have a heart. KC is drawn from characteristics of not just my wife, but a few close female friends. One actually raised her sister. She was thirteen, her sister was six, their parents had ‘issues’. Another woman I have trained for adventure races with and she never quits, she has endured a host of up and downs in her life and always manages to handle it with fierce tenacity and smile. I think by creating stronger female characters it makes for a more dynamic story, with richer textures and so many more possibilities for fun. For what reason would you go into the thief-business like Michael if you had to? I think we all have a a point where we will compromise our morals. For some it is a very low self-centered threshold, for others it is when love overrides logic; I think for most though, when a life and death situation arises we will do whatever it takes to save the ones we love. Many of your themes concern christian lore. Was that deliberate or simply convenient? I grew up in a religious household and have always found religion to be interesting as it is the foundation of our morals and values. I never preach in my novels but I do touch on faith whether it be faith in the divine, faith in our friends, and most often, faith in ourselves. To some, religion can appear to be myth/legend/folklore while to others it is the core of their being. I think everyone believes in something be it Christianity, Judaism, Islam, Buddhism, or Elvis. Even an atheist has beliefs in science and logic. Throughout life so many explore their faith: moving away from it, growing closer to it, questioning it, but as they near death so many embrace their religion and find it to be their final comfort. As a result there is so much history to draw upon, so many themes that people can relate to, so many mysteries that intrigue. I’ve read that some of your books are going to be made into movies. What is the current development and how much are you involved in it? The 13th Hour is in development at New Line Cinema/Warner Brothers and I am working with Shane Salerno on The Thieves of Darkness. Shane wrote Armegeddon, Fantastic Voyage for James Cameron, Hawaii 5-0 along with a long list of other successes. We hope to have these at a theater near you within the next three years. 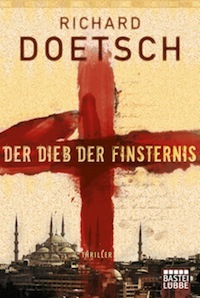 „The Thieves of Darkness“ are going to be published in September 2012 in Germany. In English you already have a new book out: „Half-past dawn“. What’s it about since it doesn’t seem connected to your Michael St. Pierre-series? I wrote Half-Past Dawn as a personal challenge to see if I could keep myself guessing while creating something new and different. Writers have a responsibility to readers to always bring a great ride to the table, a story that holds their interest while being original ensuring they are getting their money’s worth. As with all of my stories, it’s never going where you think it’s going though it does travel upon a break-neck rollercoaster and promises as much fun as The 13th Hour. And it has an ending that will make you think. Awakening to the mistaken headline that he and his wife, Mia, have been killed, District Attorney, Jack Keeler has only until dawn tomorrow to uncover an ancient mystery hidden in the depths of one of the country’s most heavily guarded prisons. A thriller spanning time, an Asian people out of legend, an assassin who will stop at nothing to avenge his death sentence, and a diary who’s contents may foretell the future, Half-Past Dawn is a race through the boarders of life and death, insanity and reason, and dreams and reality. 24 hours to find his wife, 24 hours to find his children, 24 hours before fate catches up with Keeler… and the rest of the world. 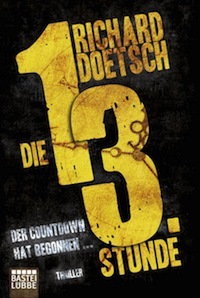 And just a point of note Half-Past Dawn will be published in Germany in 2013! „The Thieves of Legend“ is also planned for 2012 in the States. Is Michael such a favorite character of yours that you can’t get enough of him? It seems that we readers can’t get enough of him, either, so I’m looking forward to it. I love writing about Michael. Living life the way I do, I am always trying something new and crazy which really sparks my imagination. As The Thieves series has been so well received around the world, I feel a sense of obligation to keep him alive, keep him running, keeping searching for more adventures. Do you have to read the St. Pierre-stories in the right order? Not at all, I write each book so they can stand alone. But no matter what order you read them in, you learn more about Michael, Busch’s and Simon’s backstory and what makes them tick. What books do you read for leisure? I love Ian Fleming, Dr Seuss, Charles Dickens. I like to read all genres and keep my mind open to new authors. There is nothing greater than cracking open a new book and getting lost for hours within a great tale. Thank you for your time. I am looking forward to your next book. Can’t wait!